WiiWareWave Is Now Up Once Again. WiiWareWave was down after a DDoS attack overloaded our site and afterwards a hacker managed to prevent us admins from fixing our website, but finally after five days our website is fully functioning once again! We will be posting many new articles and features to make it up to you guys in the upcoming days! We checked and we're virus-free, however just as a precaution you should change your password just to be safe. Are you glad that we're back online? Let us know in our comments! Re: WiiWareWave Is Now Up Once Again. Well I've just changed my password to be on the safe-side. Was it just this site which was down or were other Forumotion sites affected too? The real question is where did everyone go lol. This place was already pretty much dead, right before the website was hacked. I don't think this dilemma would entice anyone to return either. Somebody is always going to hate on our comradery. Excuse my language, but f***'m! Ugh.....WiiWareWave is too advanced to do anything staff related on the Wii U browser and without a PC I can't provide any content....it took 20 tries to successfully post my latest review which almost caused me to rage quit. 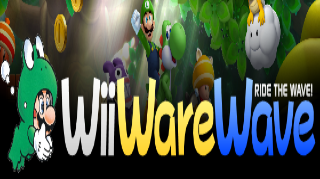 Why does WiiWareWave keep getting hacked? I guess, some people don't have anything better to do than try to spread their own animosity. Yes, it is sad. @NINTENBRO82 wrote: I guess, some people don't have anything better to do than try to spread their own animosity. Yes, it is sad. Indeed, but at least things are returning to normal. It looks like everyone is returning slowly. I think the hacker was causing the issues we were dealing with during the months prior to the site going down. Now that everything is fixed activity should improve.